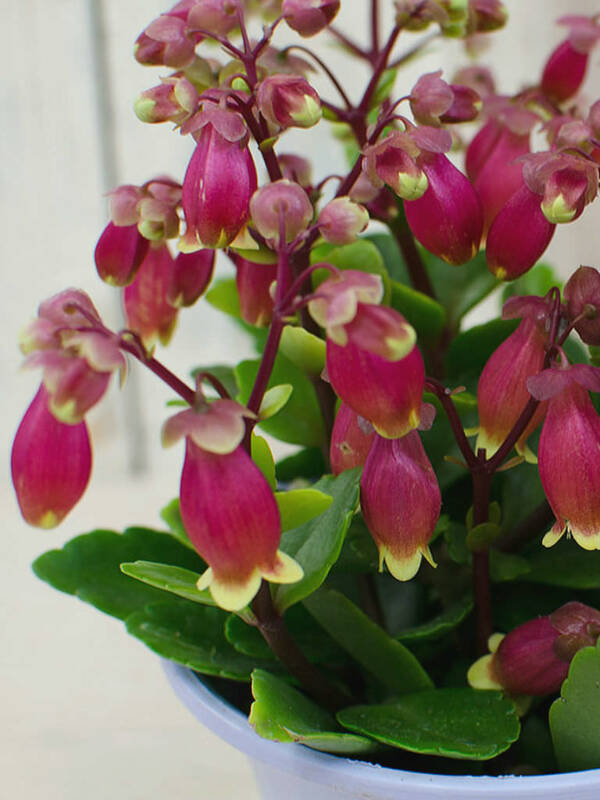 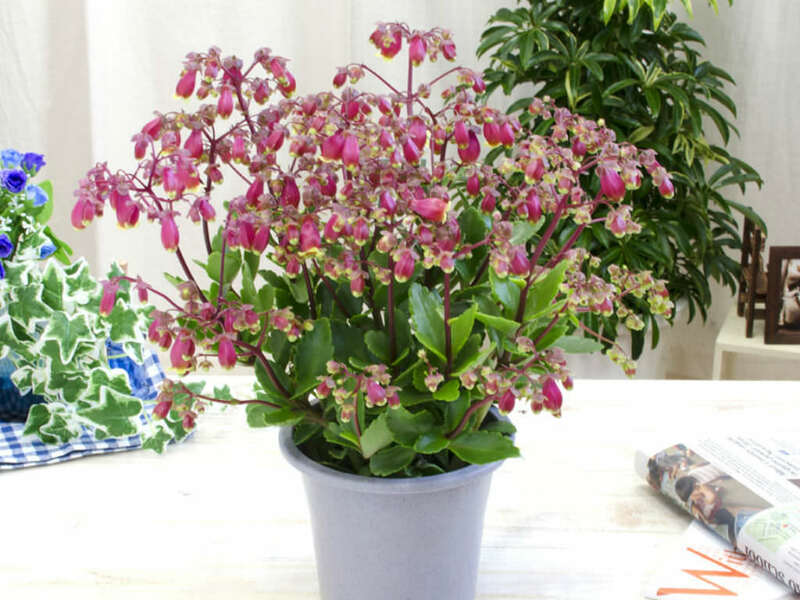 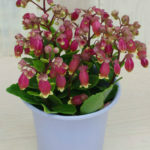 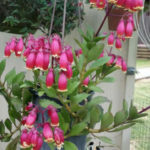 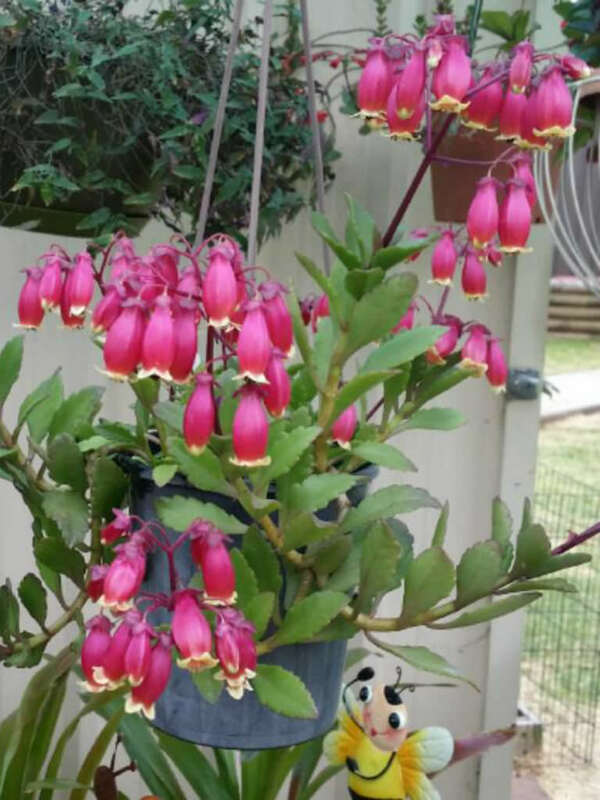 Kalanchoe ‘Wendy’ is a pendent or semi-erect, evergreen perennial up to 12 inches (30 cm) tall, with succulent, ovate leaves and panicles of nodding, bell-shaped, purplish-pink flowers. 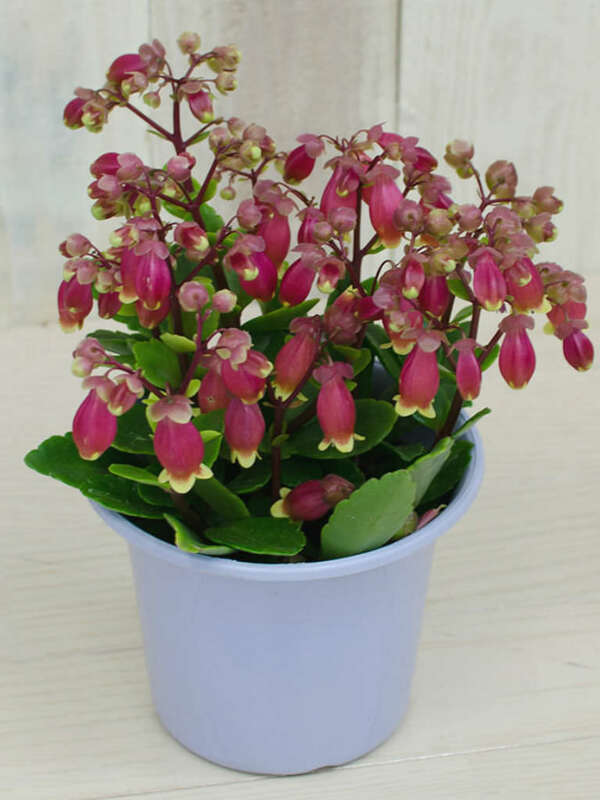 The leaves are mid-green with shallow irregular teeth. 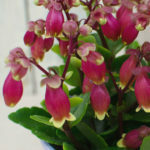 The flowers are up to 1.2 inches (3 cm) long, tipped with pale yellow and borne in late winter.